What is Claret? AustinWineGuy.com's Rob Moshein explains the Claret wine-type designation for Wines.com TV. Rob Moshein stops by Wines.com TV to discuss Fumé Blanc and tells the story of how Robert Mondavi invented the name "Fumé Blanc" to market Sauvignon Blanc. Learn about Grenache. Rob Moshein stops by to share some information on Grenache, grown in the Rhone valley of France but also in California and Spain. An excellent summer wine. Côte du Rhone. 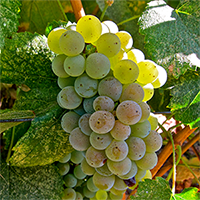 Learn about Albariño, a "fantastic food and wine grape". Sommelier Scott Ota stops by to share his enthusiasm for Albariño. Learn where it is made (in Spain) and try some of Scott's tempting pairing suggestions, especially seafood.